This great Mediterranean dish can be cooked up fast if you have the ingredients of ratatouille on hand. One of the most popular ingredients in Mediterranean cooking is the eggplant. Shiny and purple, it is easy to spot but many people don't know what to do with it. But, treated with a little love and care and garlic and olive oil, the eggplant can be a tasty addition to your every day meals. The question I am asked most often about eggplants is "Is it necessary to salt them every time?" What the questioner is referring to is the mysterious practice of spreading salt on the eggplant. I have even heard that people soak them in salt water. I would say do not soak them. 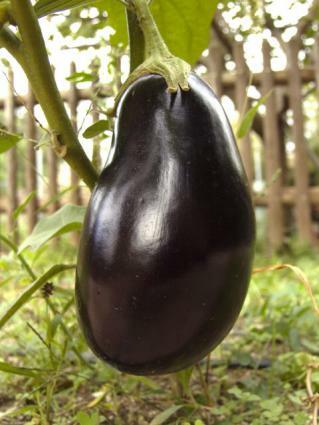 If your eggplant is particularly large or if it seems a bit on the old side (you can tell because the skin is wrinkled rather than tight and it yields to gentle pressure instead of being firm), then, after cutting it into slices, you might want to spread a little salt on each side of the eggplant and let the slices rest for about ten minutes. In general, if the eggplant is firm and the skin is tight and shiny, you do not need to salt them. If you do salt them, be sure to rinse them off before cooking. When making ratatouille, you will need to peel the eggplant. This can be easily done with a regular vegetable peeler. After peeling, cut it as close to the time you are going to cook it as possible. When it is not being used, be sure to cover it and place it in the refrigerator. This is because eggplant oxidizes rather quickly, like potatoes, and the less time the flesh is exposed to the air the less it will oxidize. When you are preparing your ingredients of ratatouille, cut everything else first and the eggplant last. At culinary school, we were taught two different variations of the ratatouille recipe. Actually, we were taught one recipe but two different ways to prepare it. The difference was in the way the ingredients of ratatouille were cut. We were told to cut it brunoise (1/4 x 1/4 x 1/4 inch cube) if we were making the ratatouille as part of an appetizer. But since this is an annoying cut even for professional chefs, I suggest you use the macédoine cut, which is about a quarter of an inch cube. If you like, you can cut the ingredieants of ratatouille into half inch cubes. As long as all the pieces are more or less uniform, you're okay. To core the tomatoes, it's easiest to cut the tomatoes into quarters. Then cut out the centers of the tomatoes, removing the seeds. Then cut the tomatoes into flat squares. Sauté your eggplants until half cooked and remove from the frying pan.